It's been a while since I've done any Japan posts on my blog, and I find that every time I write about my travels to Japan, it gets repetitive! I've been to Japan so many times now that the past few time I've been, I haven't taken as many photos because everything just seems so... "normal" to me if you know what I mean? Vending machines are normal and part of my everyday life in Japan, Shibuya109 is normal, Harajuku fashion is normal, Japanese trans are normal... The "OMG I'm in Japan!" feeling has disappeared. Don't get me wrong, I still love travelling to Japan, I just find that everything there is normal for me now so I don't take as many photos as I used to. Anyway, I decided to start a new blog series about things people will find helpful before travelling to Japan. If you guys have anything you want me to talk about then please let me know! Most people assume that free WIFI is very easy to get in Japan. Japan is known for the land of technology right? I made that mistake the first time I went to Japan. I was expecting free wifi everywhere. There was no free wifi at all. Not once did I find a place that offered free wifi. You can get free WIFI at McDonald's or Starbucks, but you needed have a Japanese phone and be a member or something like that. Surprisingly, Japan is very behind times in terms of technology. And finding free wifi is almost impossible. However, they are starting to make an improvement. You can now get free wifi on the Ginza Subway Line for example in Tokyo. And Osaka is starting to roll out free wifi for tourists. However, it will be nice to have your own wifi everywhere you go right? This has to be one of the best things I have ever figured out. On my 3rd trip to Japan, I decided to get a Pocket Wifi Device. I saw one of my friends like a page on Facebook that said you can get a discount for Pocket Wifi Device Rentals in Japan. I was curious so I decided to check it out. It seemed pretty decent so I decided to get one for my trip. Not only did I have WIFI everywhere I went, it was just so convenient. Most Japanese people communicate using emails rather than text messages. I have a Japanese phone but it is so outdated, I absolutely hate using it. I can just email my friends if they want to meet up and we won't lose eachother! Now where to get this WIFI device? I used this company twice, and I definitely recommend them. There are probably more companies out there, but this one I found was one of the cheapest, and I have had no problems with it. 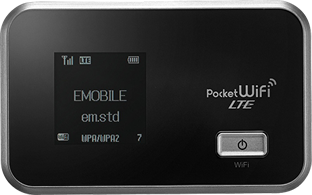 I rented out the Pocket WiFi (MiFi) 75Mbps Pocket WIFI for about 35 days, in total it was around $150AUD. Not bad for unlimited internet! If you hire it out short-term say for about a week, it will work out to be quite expensive but if you rent it out for a month or more, it works out to be quite cheap! If you like their Facebook page then you also get the discounted rate! Just for the convenience, I really recommend you get one. They are able to deliver it to you anywhere in Japan. They can send it to the post office at the airports so you can pick it up (assuming you are landing at a time when the post offices are still open, most close at 8PM). Or, if you can't make it in time then they can also send it to your hotel or apartment! The first time I asked them to send it to my friend's apartment since I was crashing there, and the second time I asked them to send it to Narita Airport and I picked it up from the post office. They also give you a pre-paid envelope for you to send the pocket wifi back! Just before I go through immigration, I just drop the pocket wifi device at the post office and that's it! I got the faster model because it was only $20 more. The WIFI device lasts usually all day. Make sure you turn the WIFI off if you are not using it to save battery (You can do so by just holding the button for about 2 seconds). If you do that it can usually last about 9-10 hours. If you keep it on all day and using it all day, I'd say it will only last about 5 or so hours. Charge the WIFI device everywhere you can. You also have an option of hiring out an extra battery for 300yen a day, however I felt that it wasn't worth it. That means extra baggage to carry around in your handbag, and also I can't justify paying an extra $100 for the month just for the extra battery. I got around fine without it so I'd say you won't need it. Anyway, any questions or requests for more topics for me to write about, let me know in the comments! Disclaimer: My review of Global Advanced Communications Japan was not sponsored nor paid for. I have used their services twice and recommend them to everyone. Thank you! This is such a great tip! I'll make sure to do this when my friend and I go to Japan. Thanks for the information. I will be travelling to Japan next year. Does this pocket wifi will work in kyoto or different parts of Japan?. Global Advanced asked me to pick up the package at the airport post office in Narita, 4th floor. Will there be a way to go up to the 4th floor at the arrival lobby? Or do I have to pick up the package before I go through immigration?